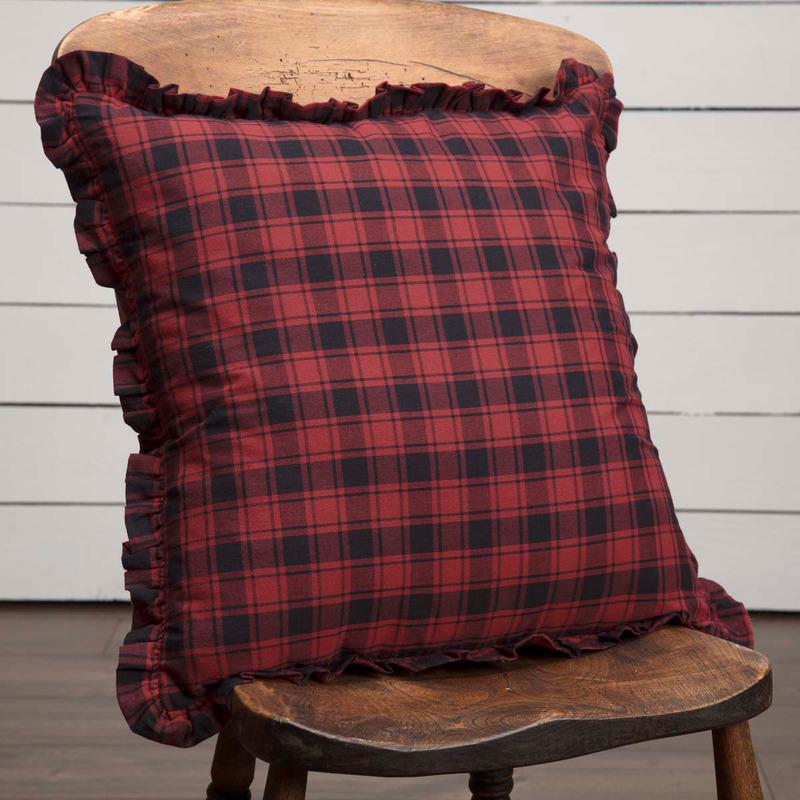 Complete your rustic space with this classic chili pepper red and black plaid with a 1-inch gathered ruffled edge. 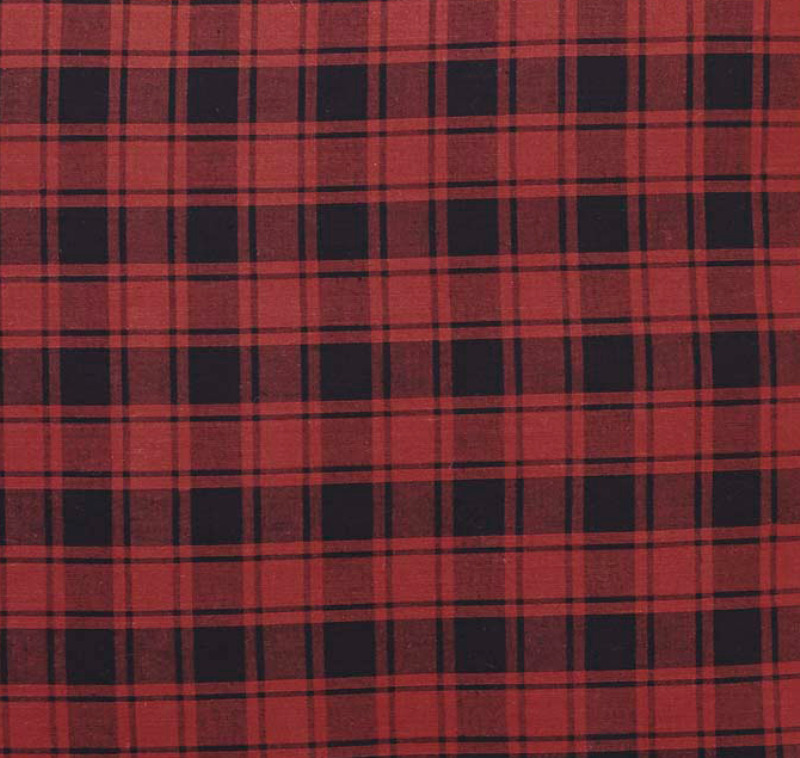 Reverses to the same check pattern with fabric ties. Poly fill insert included.